Do you like Earn to Die? Share it with your friends. 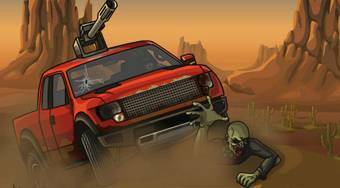 Experience the role of a man in the game "Earn to Die", who find himself, for unknown reasons, at the top of an isolated silo in the middle of a desert full of zombies. His only hope to be saved is a helicopter, which is too far away, however. So the hero has to sit behind the wheel of a car and try to arrive to the helicopter to save himself.